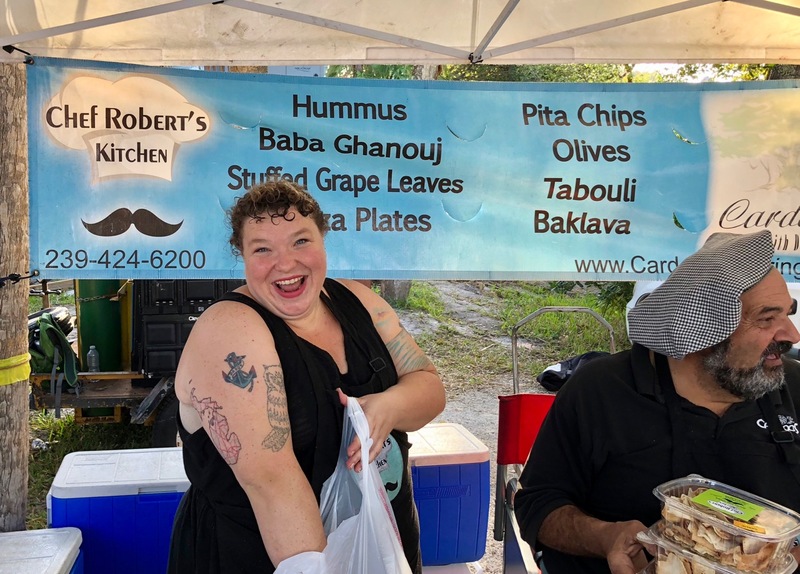 Faces at the Farmers Market: She cooks in a food truck. 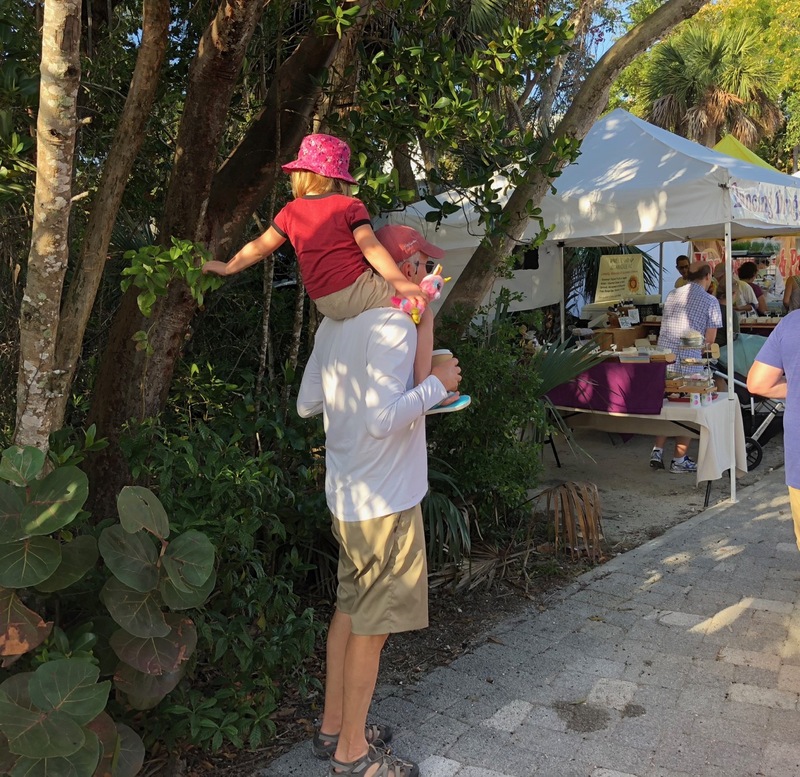 Sanibel Island, Fla Sunday morning Farmers Market. Get there early. Paul Goldfinger photo. © Blogfinger.net 12/20/18. 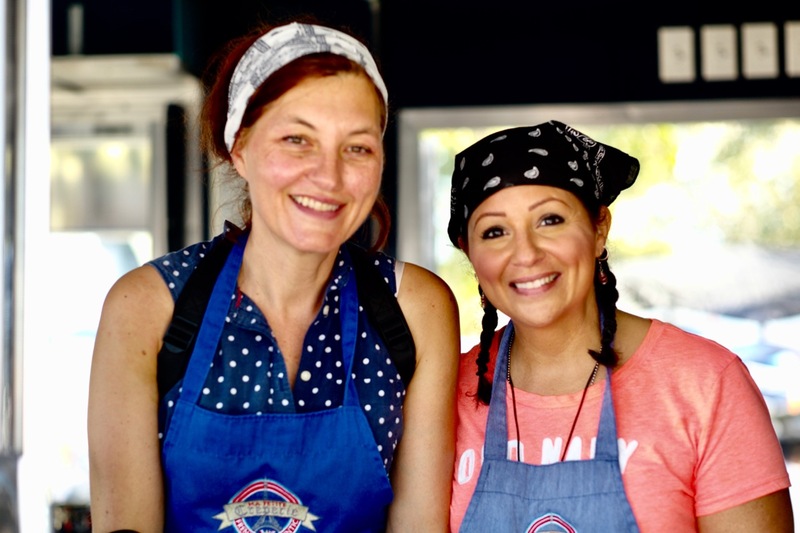 Faces at the Farmers Market: Ma Petite Creperie. Sanibel Island. Paul Goldfinger photograph ©. 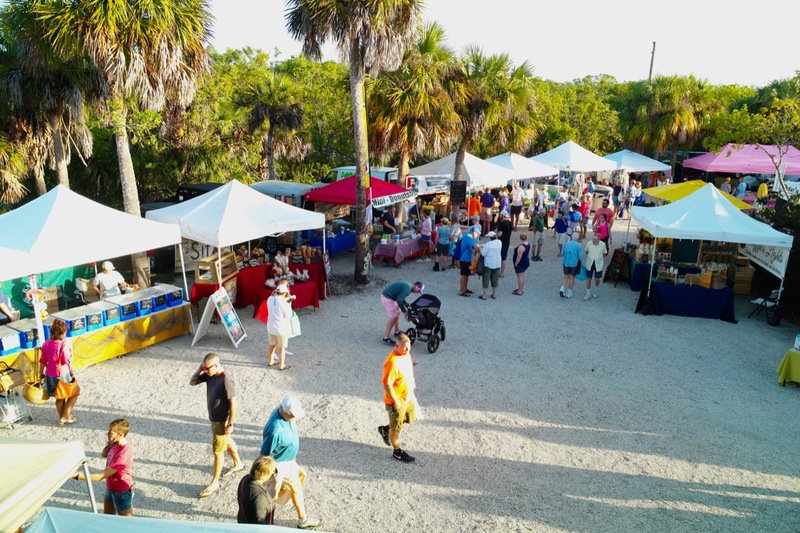 Sanibel Island Farmers Market. Florida. February, 2018. Paul Goldfinger © click to enlarge. By Paul Goldfinger, Editor @Blogfinger Video by Eileen Goldfinger. Please click on music and then video for the ultimate multi-media experience. I am reluctant to post Florida photos in the winter because it feels cruel to those of you, including our two Grover sons, who are freezing their buttocks off in Jersey. But, on the other hand, some readers have told me that they enjoy the Fla Fla Land images. So here is a video that Eileen shot a few days ago. We were sitting on a narrow beach off the Sanibel Island Causeway, looking out at San Carlos Bay, a route to the Gulf. Hardly anyone actually goes into the water there. 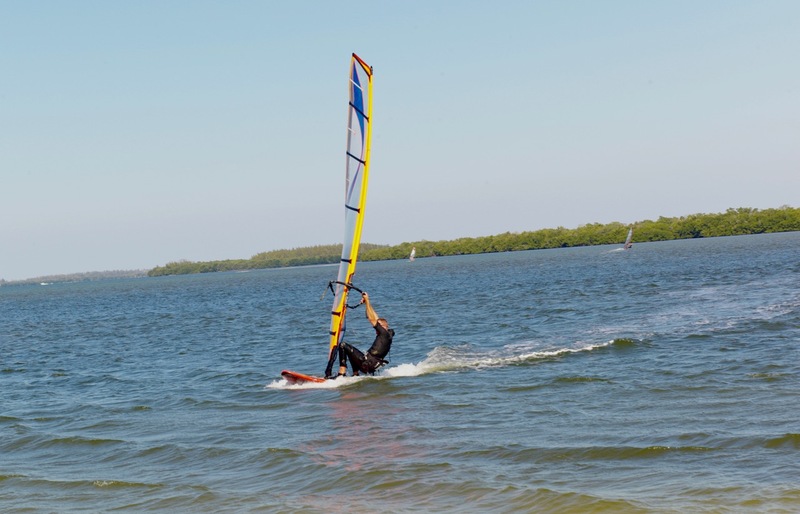 But some enjoy the water sports like kite surfing or fishing. Regular surfing is out of the question, because there only tiny waves. Mostly people just open up a folding chair and enjoy the gentle lapping of the water. The visitors seem to vary between those who seek shade under the trees and those who sunbathe. The fisherman in the picture seemed happy just to cast, reel, cast, reel , cast reel—non-stop and monotonous, but very relaxing. It was soothing even just watching him. He was using a small hunk of bait, and he caught nothing while we were there. He seemed perfectly content. He said that his wife was walking along the edge of the water looking for shells. These people sure know how to waste time—a marvelous talent in our high energy culture. Eileen and her sister Hope join in the festivities by chatting–endlessly, a preoccupation sort of like cast, reel, cast…etc. Or else they crochet —-twirling their little stick hooks over and over and….. Sometimes I come across strange sights such as when a group of chairs were set up in rows, on the beach, facing the water, with white covers, waiting for a wedding to start. Just one person had arrived so far. That fellow was standing in front of the chairs, back to the water, practicing a speech to his imaginary audience. After a day of relaxing, I find that activity to be quite exhausting. 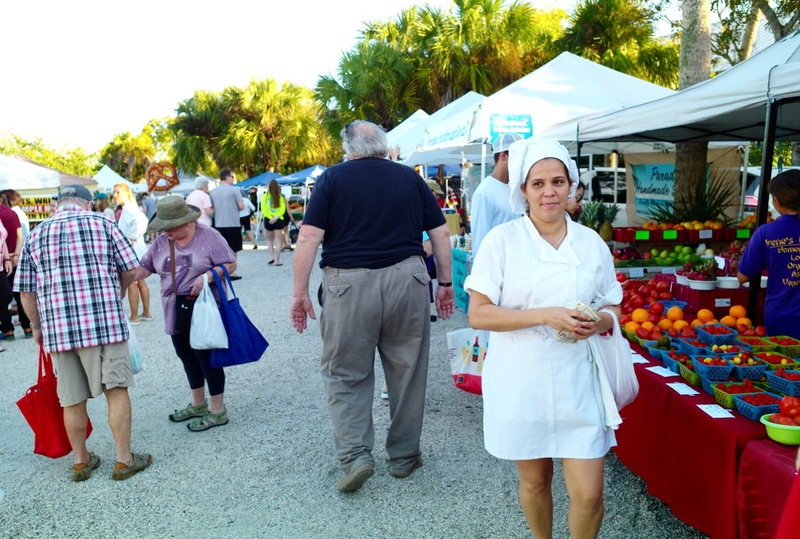 Faces at the Farmers’ Market: Sanibel Island, Fla.
Sanibel Island Farmers Market: The best! Paul Goldfinger photograph © Feb. 11, 2018. © Click to enlarge. Fun and games on Captiva Island. LEE WILEY “Oh Look at Me Now” was written in 1941 and was first recorded by Frank Sinatra. Gulf of Mexico. 3/6/17. 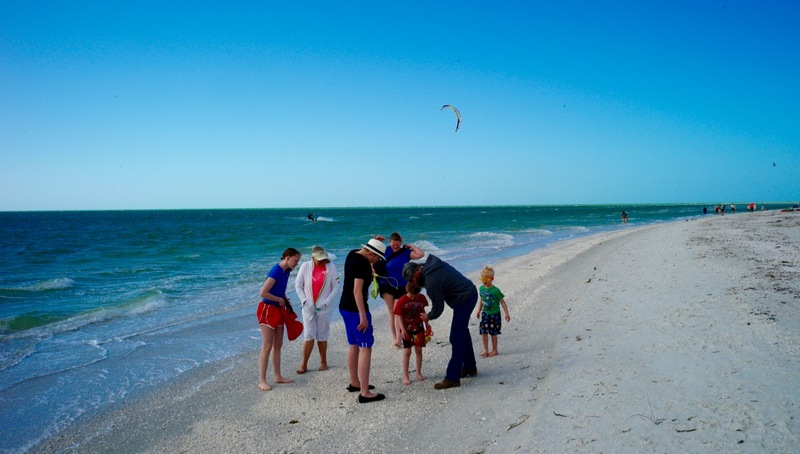 Sanibel Island is known for sea shelling. Discoveries are made every day. The National Sea Shell Museum is there. Paul Goldfinger photo. © Click to enlarge. Wind surfer #2 Blogfinger photo. © Click to enlarge any of these photos. Wrapping it up. Blogfinger photo © 2/26/17. 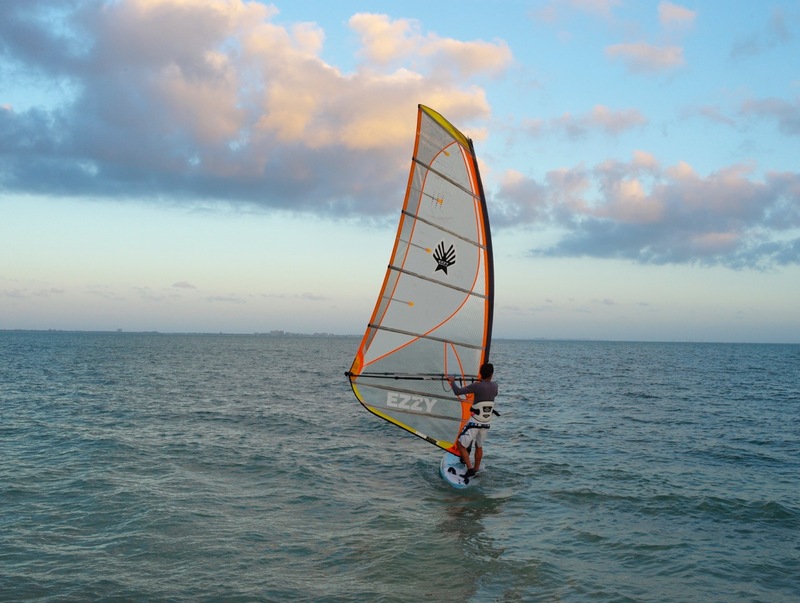 They are a group of about eight friends who met on this beautiful Sunday morning, for a session of wind surfing. The group meets at various locations where conditions might be ideal. They told me that the winds were good for about one hour this morning, just enough time to form a line and catch the breezes as they surfed around in a big continuous circle, like sail boats do. It is a strenuous sport, and you have to be in good condition; the surfers were a mix of men and women of varied ages. 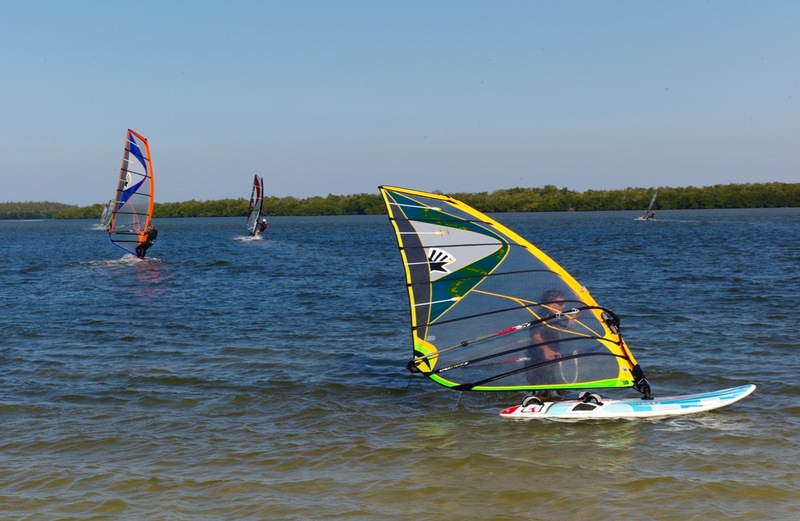 I watched their session as the wind caught their colorful sales and propelled them at high speed through the calm surf. It wasn’t easy to stay afloat. I got a chance to take some photos, then, as they reorganized on shore, we chatted for a while. One of them, a professional piano tuner, gave me her card. I promised to send them some photos, which I did.